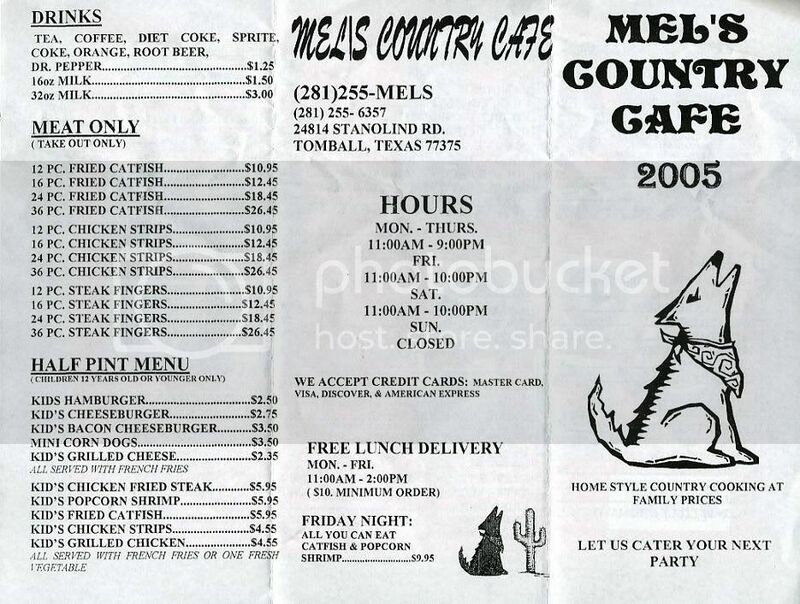 Without question - my first ever TexasBurgerGuy Burger Joint review is going to be on none other than Mel's Country Cafe in Tomball, Texas. Mel's is without a doubt my favorite burger these days. I felt it was appropriate to begin with Mel’s because it will in fact by the standard by which I will compare the others. In a word – SHAZAM! Once you bite into the big juicy Mel’s Burger – you’ll want to stand on the table and yell that very word. I might be overstating it just a tad bit – but suffice it to say the Mel’s Burger is… GREAT. Oh man the oooze. This burger will most certainly expose you to the sweet nectar that is oooze. I am not sure if Mel’s is using some sort of slow cooking method or if he has a syringe that he uses to inject his burgers with oooze – but he has a juicy burger. The burger comes in a cute little plastic basket thingy and it will be lined with paper. After the burger is gone – the paper will be wet. The juices in this burger make it great. It is moist – but not mushy – oily – but not greasy to the point of needing to shave your tongue after you eat. 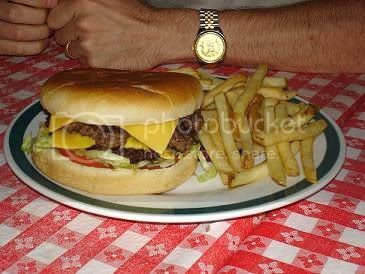 I don’t have a menu right in front of me to tell you the exact weight of the burger – but I think the standard weight of a burger at Mel’s is ½ pound. The patties are thick and always homemade. When you take your first bite – do yourself a favor and admire the inner workings of the patty. You’ll come face to face with oooze and you’ll see a big chunk of meat. The regular Mel’s burger is a medium on the herd killer. Mel’s flagship burger is it’s Mega Mel’s Burger. This thing is approaching bovine armageddon status! This thing has 6 – count em’ – SIX patties totaling 1 1/2 pounds of beef - a friggin’ pound of bacon – ¼ pound of cheese – all the vegetables – and a half off coupon for a defibulator. If you can eat this bad boy in under 2 hours and not “return any of the food for a refund” during that time – you get your name written on the Mel’s Wall of Fame and you will be forever the envy of binge eaters everywhere! One guy at this monstocity in 9 minutes!!! I bet that dude had a real bad case of something that night. Yowser! 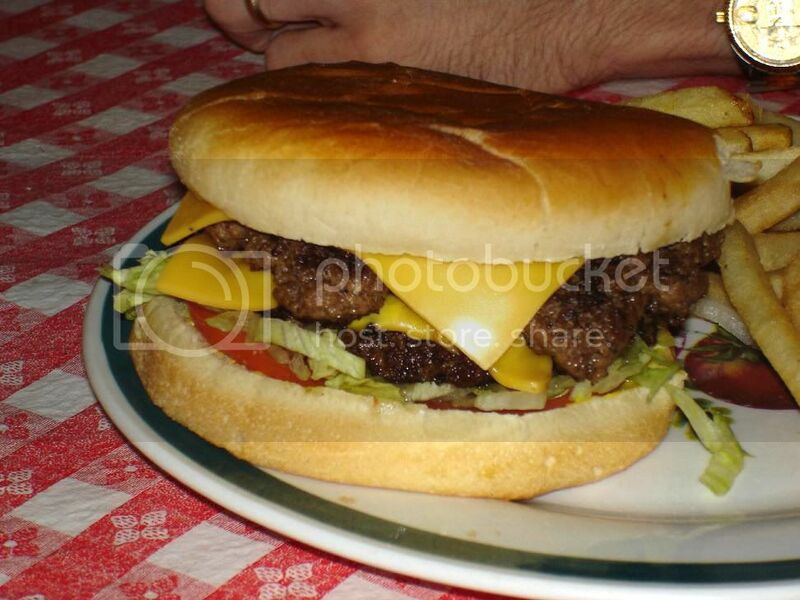 The Mel’s Burger is not one that can be eaten with one hand only. It is most definitely a two handed burger. That is – if you have normal size hands like I do. If you are an NBA basketball player and can palm a Yugo – you can probably handle this burger with one hand. For the rest of us – better use both hands. When evaluating cost – you have to consider the amount of food you are getting. Mel’s delivers a pretty hefty amount of food and only charges 3.95 for its burger. If you add on some fries and a coke – adding tip it comes out to about 7 or 8 bucks. Definitely worth every penny. Mel’s has all that you would expect on their menu from a mom and pop restaurant. They have good ol’ all you can eat catfish and popcorn shrimp on Friday night’s which is awesome. They also have a mean chicken fried steak. 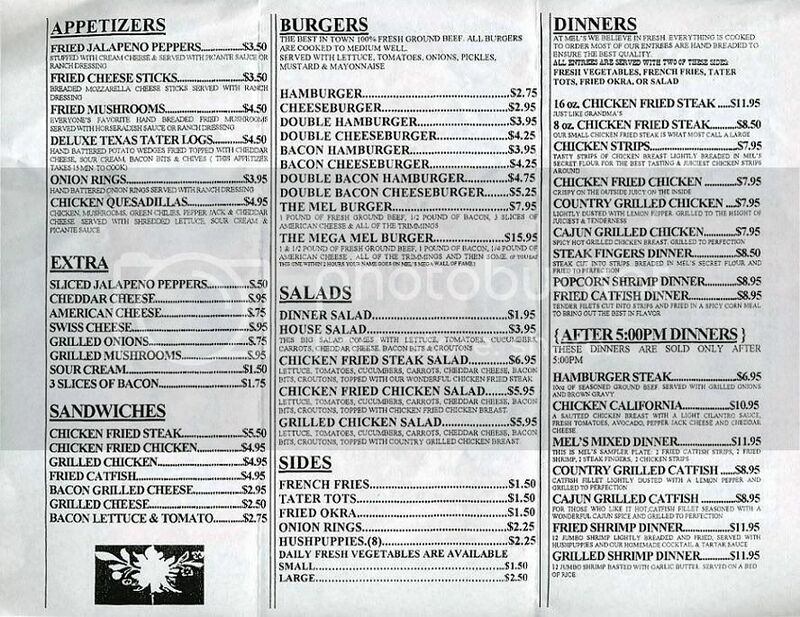 Mrs TexasBurgerGuy has ordered their chicken sandwich and had enough to take home and eat for 2 more meals. Definetly try the onion rings. Be warned they might as well roll out the onion rings in a wheel barrel as they give you a TON of them. The fries are just good – nothing to write home about. I have never made it to dessert so can’t help you there – but I am sure they have some and am also sure it is good. Their vegetables are very good. All in all – you won’t find better country cooking in Houston. Mel’s is your typical mom and pop restaurant. It is plain as the color white. Nothing fancy. Tables are normal. Chairs are normal. The lighting is nothing special. The decorations are pretty plain – except for the wall of fame – that is something you don’t see every day. All in all – it is clean. The restrooms are clean. This is quite possibly the hardest location to find on planet earth. I bet the guy that found the Titanic would take weeks to find Mel’s without directions. Pretty much the only way to locate it is to know somebody that has been there. Mel’s is one of my favorite if not my all time favorite burger joint. It has everything that I need to feel right at home. It has the friendly waitstaff – the ordinary building – the “froofy free” menu – and absolutely incredible food. This is the first blog of its type that I've seen. I haven't been to Texas (more specifically, Fort Worth) in 20 years, but if I find myself magically transported to the Lone Star state, I will keep your recommendations in line! 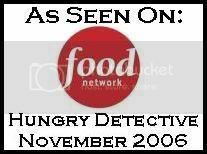 How funny that you reviewed Mel's! This was WITHOUT A DOUBT the WORST burger I have EVER had. To begin with the service was extremely poor. After approximately 30 minutes, I summoned the server and was told, "Oh, yeah. They must have lost the order." They didn't lose the order... they left in on the grill the whole time. The burger arrived CHARCOAL BLACK and COLD. The cheese was nowhere near melting. The size of the patty? Oh, maybe 2.5" diameter. I was so tired and disgusted with the joint at this point that I just ate the bun and fries and called it a night. The staff was courteous enough to offer a free meal to both me and my friend. Thumbs way down for Mel's. Couldn't disagree more with the second comment. I have been to Mel's probably 10 times and have NEVER had a bad burger OR bad dining experience. Mel's does tend to get busy at certain days just like every other restaurant out there. Friday nights are all you can eat catfish and it tends to get busy. All day Saturday seems to be busy with the lunch and dinner times being the worst as expected. But - once you are seated - the food comes after a reasonable wait and I've never had a problem with the waitstaff. Maybe you should try Mel's again and see if you get a repeat experience. For me - I totally agree with the review. Mel's is awesome!!! WOW. Tried Mel's after reading your review, and I do have to say, that place rocks. Will definitely be going back there more often. I want to try their $9.95 AYCE catfish on Friday nights. The onion rings were very good too. I had the $6.95 Mel Burger and it was perfect size for me. Perfect taste too! Glad you like Mel's!!! It is definitely one of my favorites. I've been to the all you can eat catfish on Friday night and it is awesome. Mel's gives you a heaping portion of catfish and popcorn shrimp. I can make it through one plate and then I usually order another plate and take most of that home with me. Good stuff! Mel's is awesome. I used to have a customer up that way, and we ate there all the time for lunch. Damn good chicken fried chicken and steak. Hard to beat the price too, got Meat, 2 Veggies, Roll, Drink for $6.00 or $7.00. I live in Wyoming now but lived in Tomball for many years...still miss Mel's burgers for lunch. Give 'em a try, you won't be sorry. I very strongly agree with your views on Mel's, but must add a small correction. You repeatedly refer to Mel as a guy. SHE is a small blonde lady! The homestyle cooking is awesome. They peg butterbeans! And I have had a salad to go for something "lite". After I got out the pitchfork to shovel down the truckload of lettuce, full huge chicken breast grilled, and cheese piled high over huge homemade croutons, I could hardly move! It was an awesome salad, but definitely not "lite". Never had anything bad at Mel's! Mel's is good food. Burgers are good! Only word of advice is that if you see the parking lot full of mini-vans and/or SUVs, KEEP DRIVING. When the place is packed with kids its LOUD and the service drops considerably. ....scratch that. DON'T keep driving, go in and get it TO GO! I had heard about this place so many times and finally found it (live not far from it). We ordered take out and it was FANTASTIC! Hubby got the SMALL Chicken fried steak and I thought he was going to fall out of his chair it was so huge. I got the double cheesburger and it was to die for! This is what I call a great burger!! can't wait to back again! Mel's is without a doubt the best chicken fried steak in the great state of Texas and has all the trimmins perfect to go with it. Try it; you'll love it and go back again and again. It's worth the drive from far side of Houston. My wife and I go to mel's once or twice a month. We talk about trying some different places but always end up at Mel's, It's that good. All you can eat catfish and shrimp Fridays are awesome, my personal favorites are the bacon double cheesburger, Catfish Vera Cruz, Fried chicken salad and don't forget the greenbeans and mashed potatoes. Service is excellent and if you have room left(doubt it!!) try a peach cobbler W/ vanilla ice cream. Lee & Shelly W.
I tried Mel's Friday night on the bases of this review and was nothing short of extatic!!! I got the Double Cheeseburger and my wife got the Single Cheeseburger and were both very pleased. We split an order of the best onion rings ever. I could barely finish the Double Cheeseburger and was left with a large puddle of oooze on my plate when done. What totally amazed me was the price! The total bill for a Double Cheesburger, Single Cheeseburger, onion rings, a Miller Light and an ice tea was $12.80. We felt like we needed to be carried out on a stretcher we were so full!!! I HIGHLY RECOMMEND MEL'S!!! Thanks TexasBurgerGuy for the site and the reviews. On a side note, my sister lives just a few blocks away from Christian's Totem and everytime I go to her house I pick up one of their burgers. BEST...BURGER...EVER!!! Anyone who says that a burger at Mels is anything but excellent is a fool. All you vegetarians out there trying to pose as hamburger reviewers should go back to Mels, order a cucumber and stick it. I am going to Mel's tonight for dinner. I have been frequenting Mel's since it was a shack and had holes in the walls. In fact, they covered the holes in the walls with the mat from the game "Twister". That's no lie. My brother mastered the Mega-Mel in 99 minutes, and we're all very proud of him. All day long here at work, I've been debating whether to eat the Mel burger, or the 16 ounce chicken fried steak. It's a dilema that I am always glad to have. Go to Mel's and enjoy it, but be prepared for a laid back atmosphere. You are in the middle of the country, and they just don't get into a hurry out there. Sit back, relax, and enjoy the experience. I am so tired of having to draw people maps to this place. I wish everyone would just forget about Mels so I could go anytime I want and not have to wait in the long lines. We love the place and want it for ourselves. LOVE your blog -- what a great service to those of us new to Houston. I know, it's a tough job but someone's got to do it! One tiny correction. When I tried to map to Mel's, I got a correction on the name of the street, and verified it at Yellow Pages.com: it's StanolinD. 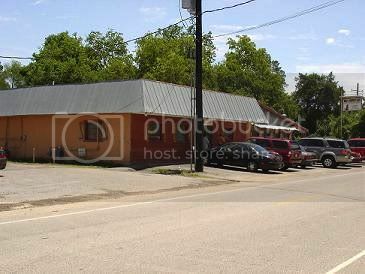 I love Mels doubble meat bacon cheese burger but if you have't been to Brenham Tx. to the Country Inn near the fairground try their burgers and my favorite is the hamburger steak. It's like a family size meatloaf. I used to work at Mel's as a waitress, and my husband worked there as well. we moved out of state a couple of year ago, and I still crave the burgers and catfish. Not only do they make the best tasting and best priced food ever, but they are also excellent people to work for, and the customers are 99% fabulous. I learned a lot about people and good eats there. we miss y'all! Cowboy. Absolutely the best burger I've had. Also, super Catfish on those Friday nights. Love the atmosphere, and the friendly staff. I drive 90 miles just to eat there. Mary you must go there someday with me.!!!! I believe the last time I ate at Mels they had added onto the building and now have a lunch buffet. Still busy, busy, busy. Mel's is awesome!! I read only one bad review & it probably was someone that grips about everything in their life. I'm going right now to order a burger to go. Everything I've eaten there was yummy!!! Mels is in the top 5 of country eating places I have ever been to and I travel all over the country. I have eaten everything on the menu (except the Mega Mel) and not found anything that is not top notch. I take visitors there and when they come back to visit, Mels is always on the list to visit. i have been going to mels for about 5 yrs. now it has the best food ive ever eaten i must say my favorite is the 12 oz rib eye covered with sauted mushrooms with agarlic butter sauce and actually today is me and my hubbys anniv. and i want mels so that is where we are going if i had to rate this place from 1-10 i would give it a 20 my favorite place to go. awesome place to take the family. I've been going to Mel's since I was probably 4 years old. Still love it, best burger in town. And affordable, even on a teenagers budget. We have always been told a lot about Mel's, and one day at Lunch the DW and I decided to journey out to Mel's. While it was truly a little difficult to find, but what a find! We ordered the burger and I have to agree it was one of the best burgers this 52 year has ever had! We where going to order a side order of onion rings, but the waitress looked at the both of us and said "never been here have you?" and we said yes first time. She said the side order of rings is really big even for the two of you. We looked at her and decided to take her recommendation of the order that comes with the burger. And when we got our burgers, how surprised we where! The normal order (fries or rings) was huge. Since that first time we have been back 2 more times and service and food has been great, even during very busy times. The problem with Mel's I guess, is, they have people working there, and people make mistakes from time to time. So that poster that said "WITHOUT A DOUBT the WORST burger I have EVER had" well he must of been unlucky enough to get one of those people the day they made a mistake. To bad, he really should go back and give them a second chance. It would be well worth it. Bottom line Two Thumbs Up! Wow! I just got back from Mel's. What a great place and great food. The burger was awesome and the onion rings are excellent. Also, great atmosphere and they were packed at 3:30 in the afternoon! Thanks TexasBurgerGuy! I ate at Mels this weekend and man your not messin around. That was the best big burger I have ever had. When the waitress brought it out I couldnt believe it. Well, it's hard to say. I live in The Woodlands, so I took this website's advice and drove, in the rain, 11 miles down to Mel's. I'm sympathetic to the poster who said he had the worst burger ever, but I understand the other guy who said that you can be unlucky and receive something of a mistake instead of a great burger. My mistake was pretty major: I ordered a double cheeseburger. It arrived with bacon on it (I can't eat bacon), so the waitress told me to remove it myself. I was in a hurry so I slipped her a $20 to take care of the bill (normally you pay it yourself, but I was a newbie and didn't know). About halfway into the burger, I'm wondering why a double burger has only a single beef patty into it. When I drew this to the waitress's attention (after getting my change back for a double cheeseburger), she agreed that a mistake was made. I leave a nice tip as I leave, but no correction to my check was made, although the waitress opened the door to let me out. Oh, the burger? C-minus at best -- no ooze factor to speak of, dry, and uninteresting. So I was unlucky on several counts: order errors, unrectified, plus a mediocre burger to boot. And a 22-mile car ride to learn all this the hard way. The place was crowded (8 PM on a Wednesday night), so somebody must have liked something they were serving. But it wasn't me. Good burgers are STILL hard to find, notwithstanding clever (and humorous) sites like this one. Bovine armageddon indeed. We are driving to Houston from Dallas on Sunday. We were going to try Goodson's but I saw a note about Mels. After looking at these comments I think we are going to have to go to Mels. 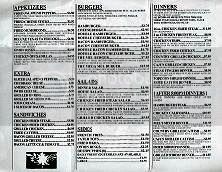 We just moved here from Colorado and can't find good CFS or burgers anywhere. Can't wait. As someone who has tried many of the other burger places in Houston, Mel's is right up there with Lankford and Christian's. I"ve ventured out to try the other food on the menu and it's all been well above average. The Catfish Christopher sounded a bit upscale for a place like Mel's but it was just as good as the burger and better than their famed chicken fried steak. Great place!! I LOVE Mel's. I was describing it to my boyfriend the other night about how awesome it is. I have had my birthday parties there, lunch, dinner, you name it. My family and I have been going there since I was at Tomball High School over ten years ago. The football team would go there after practice and eat the mega mel. I am sure several of them are still on the wall. Thanks for the awesome review! We went to Mel's for a late lunch with high expectaions due to all the wonderous reviews. I was slightly disappointed due to not that the food was bad just nothing to write home about. Both my boyfriend and I thought it was quite greasy, especially the raved about onion rings. It was a little bit of a drive for us, maybe thirty minutes, one we probably won't be making for good but not great and greasy burgers and rings. 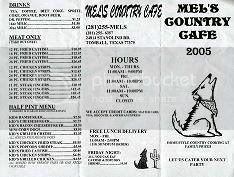 I eat at Mel quite often and the Grilled Cajun Catfish is GREAT, also try the cabbage and green beans. Moved to Texas from California a few years back and have been hard pressed to find a great burger here. Guess I got spoiled by having In & Out Burger so readily available for so many years. It's kind of funny that when I tell my predicament to most people, everyone here keeps directing me to Whataburger as the greatest burger place. Sorry folks, but Whataburger isn't really any different, flavor or qualitywise, than Wendy's to me. Yeah, it's better than Burglar King, McStupid's, and Jerk in the Box, but not that much better. However, upon finding Mel's, I am saddened no more!! Mel's is great! While maybe not the best burger in America (that dubious honor absolutely still goes to In & Out), Mel's clearly is by far and away THE best burger in Texas! ARE YOU KIDDING? THE BURGER WAS DRY THE ROLL WAS STALE. I WAS NOT ALLOWED TO HAVE IT COOKED THE WAY I WANTED IT. IT HAD TO BE COOKED MED-WELL AND I LIKE MY BURGER MED-RARE. I ASKED THE WAITRESS TO TELL THE COOK TO COOK IT AS LESS AS POSSIBLE IT IT WAS SO WELL DONE, AND DRY. THE SERVICE WAS PUSHY. WE ORDERED AN APPETIZER AND OUR BURGERS CAME OUT ALMOST THE SAME TIME. IT WASN'T CROWDED, BUT YET WE WERE BEING RUSHED. Although I've lived less than 30 minutes from Tomball a good portion of my life, I never really had any reason to eat around there. I've had Rib Tickler a couple times per request from my wife- which was okay. The only thing I feel worth of mention there is the chopped beef sandwich. I tried the ribs and brisket as well, but both were too chewy. Nothing special. ANYWAY... So, I HAD to make it out to Mel's after reading this post. Weird location. Ordered burger to-go. No real waiting area; sat at a table- they offered me a free drink because the wait was kind of long, maybe 15-20 minutes. Ate the burger on the go. It wasn't all too messy, but the fixins were kinda chunky. Bun was okay. Beef tasted like it had NO seasoning or salt at all. Good beef, but little flavor. If I brought it home, I'd have to throw SOMETHING on it- at least a dash of salt. Overall, I was greatly disappointed, but still a decent burger with good beef. Just needed some seasoning to the meat and a bit cleaner, better prepped fixins. Oh, and everyone should note that they are closed on Mondays. What the heck is that all about? All I can say is that second comment from the guy who hated Mel's he is a friggin' IDIOT!!! Mel's has the best food period!!! 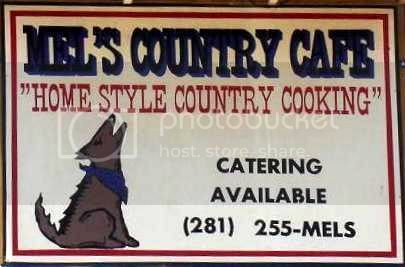 Heck ask my wife, LOL one night she said I was dreaming and out of nowhere she could here me talking in my sleep so she woke up and said I looked right at her and said... "Mels has the best quality food, the largest portions, and is the best value for my money." LOL i'm doing adds for them in my sleep their so good! Not just the burgers, everything! We are from out of town and decided to venture into Mel's "diner." We ordered just a burger cause the place was a little busy. Our waiter was very snotty and rude. He did not even ask us what we wanted to drink. We received our drink from the bus girl. Our food arrived cold and disgusting. After searching for our waiter for an hour, we complained about the cold burger and he just laughed and walked away. We told the person at the checkout and he just gave us our ticket and said next time that we should tell management. This place is horrible. I rather eat a week old cow pie than, oh wait that is what i ate here. I would not recommend this place to my worst enemy. Also, we got food poisioning from the little that we tried. I could not get off the toilet. I dont understand why there are good reviews. The good reviews must be coming from the employees. Stay away from poison burgers. We've been to Mel's many, many times. Yes, the burgers are fabulous - some of the best anywhere for sure. In fact, everything on the menu is terrific. The Friday all-you-can-eat fish fry is something you won't want to miss. I think there must be some competitors that post some of these reviews. We've NEVER seen anyone receive any but the most courteous service from all the staff. We're very regular customers and have been eating at Mel's for years. If there was something like a few of the posters here mention, we'd have stopped frequenting the place long ago. There's a reason Mel's is always packed ...and it is. Get there early - but even if you don't, no need to worry - they have quite a bit of seating. A lot of church folks show up on Wednesday nights after prayer meeting, so that night is a bit busy. And, yes, it's usually pretty loud in Mel's. That's okay. It's a fun place. One thing not often mentioned here is that Mel's is a very good place to take kids. You can actually afford to feed them and there's always something on the menu that even the most picky eater will want. We've lived all over the USA, but Mel's is one of our favorites of all time. It's a classic, like their burgers! I ate there today for the first time. I'm not going to bash it...but I expected better.The CFS was about on par with one at Luby's(ok,but nothing special)..the dinner salad had pretty much just the part of lettuce that should be tossed out..the fried okra was very good. No sweet tea (wtf?) and cokes are 1.75 each with no refills..
As stated,not awful,but nothing special....service was acceptable,but not grand. I have eaten at places all around the Tomball area. Every place has had bad days, but mostly good. I live just a few miles from Mel's. I have had a couple of bad experiences, but after eating there a few hundred times since they opened (and other places as well), they have great food 98% of the time. No place is perfect. And like anybody, if you give them attitude, you get it in return. Still, it is a d**** good place to eat! If you had a bad trip, I suggest you go back & try it again. You won't be sorry. When I'm in the mood for good home cooking, it's Mel's. Just remember, you can't please everyone!